My computer is up and functioning again, and all ya'll are way past due for an update. Sadly, I have to break the bad news today. 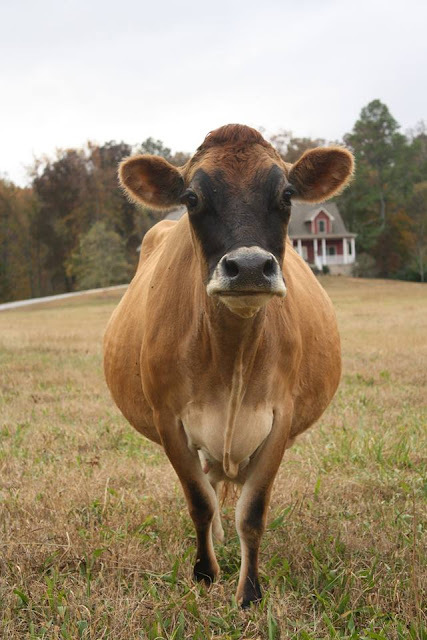 Last week, my old milk cow Lucy died. We bought Lucy 5 years ago from a commercial dairy near Nashville. She was 9 years old at the time and was about to be culled. 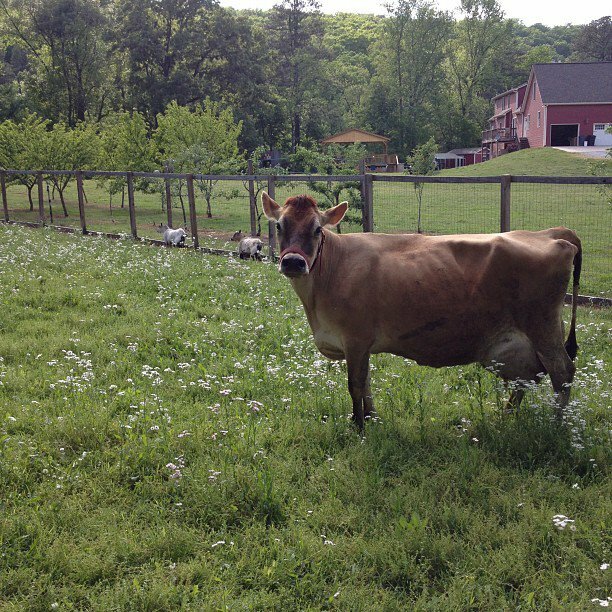 She was headed for slaughter, but we liked her and decided to bring her home as my first milk cow. Although she had a huge udder, she was a very docile cow and very patient. We could hand or machine milk her. She was milking machine herself, peaking at 7 gallons a day. She knew her name and would look at you every single time you called for her. She had babies easily and had three while she lived here. She was a good mama cow and her calf last fall was to be her last. I was planning to use her as a companion cow for the rest her time here. She was doing well and I was shocked to find she had died in her sleep, peacefully. She died in the back yard, near the wood line, laying down with all of her cow friends laying near by. She was a great cow. She left a legacy here, not only with her two heifers that I will always own, but with the knowledge and lessons she taught me as my first family milk cow. Aw, Sam, I am so sorry for you loss, but so happy she was able to live out her life being loved by you! What is it with your family that you have the kind of animals that make me sad when they pass and I don't even live at your house? I'm so sorry to hear of Lucy's passing. What a sweet girl. 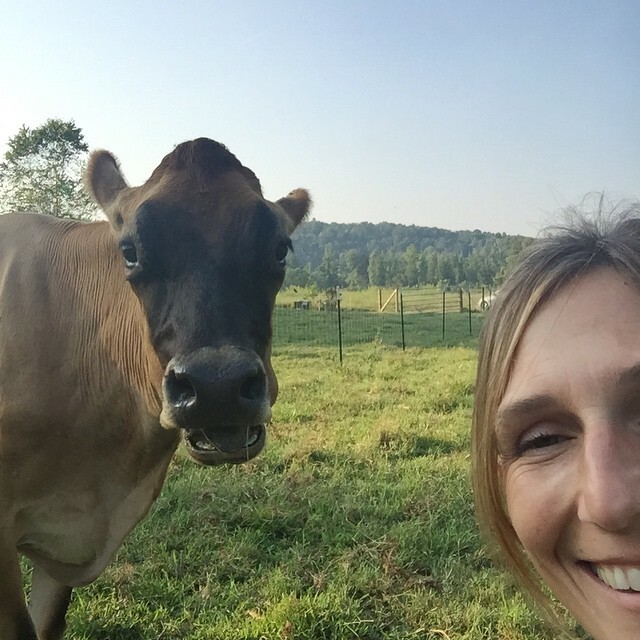 What a beautiful Jersey mama ~ ~ you took me right back to my childhood where I grew up milking our Jersey cows every morning and evening without exception. They were my best friends, counselors, comforters, and playmates. Hugs for you in your loss, and know she died contented with her home. So sorry for your loss! It's always hard to lose part of the family.